Sports camera and drone manufacturer GoPro has issued a recall of the recently released Karma drone, after only 16 days on the market. "Safety is our top priority," said GoPro Founder and Chief Executive Nicholas Woodman in statement detailing the recall. "A very small number of Karma owners have reported incidents of power failure during operation. 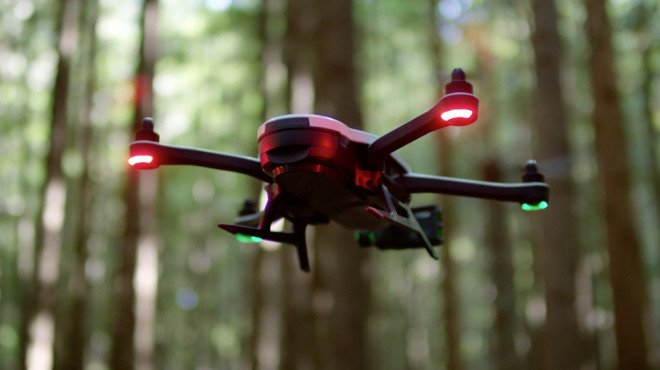 The $799 Karma base package was revealed on Sept. 19, and includes the drone and a handheld gimbal attachment, but does not include the required GoPro Hero4 or 5. A bundle with the Hero5 Session costs $999, while a version with the standard GoPro Hero5 retails for $1,099. GoPro says that it has sold 2,500 units of the drone, and customers possessing one can return it to GoPro or the original place of purchase for a full refund. Replacement units are not being offered at this time. The company has no estimate when shipments of the drone will resume.